Direct Response Copywriting: What is wrong with this copy? 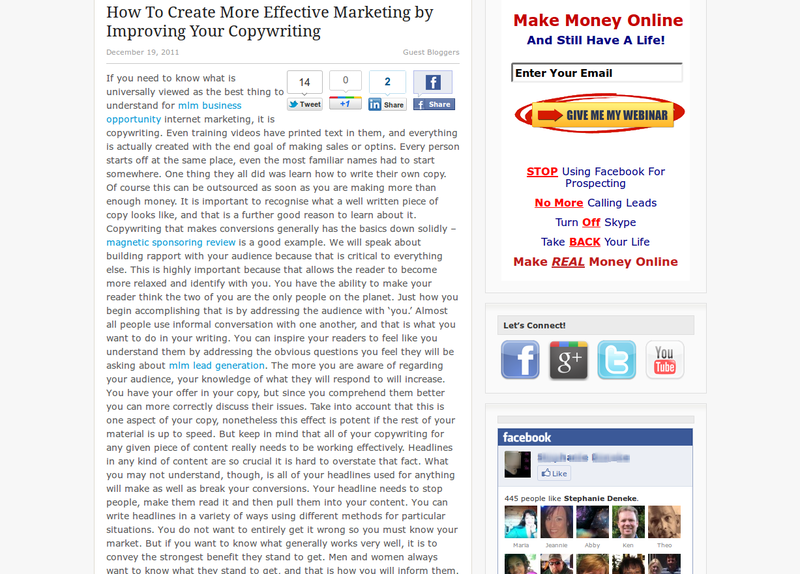 I am always on the lookout for improving my copywriting skills. 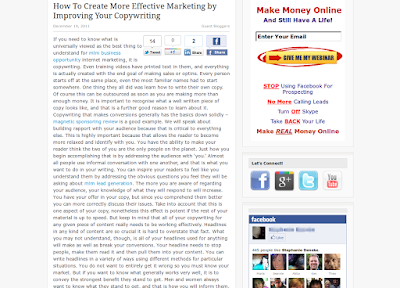 While on Google plus, I ran a search for the word "copywriting." The image above was one of the links that I found off the top of the list. After five seconds on the site, a pop-up ad appeared asking me to subscribe to her newsletter. You already know how I feel about that. Right then and there, I knew this website was a dud. Instead of closing the tab and continuing with my search, I decided to take a screen shot and write something about it. 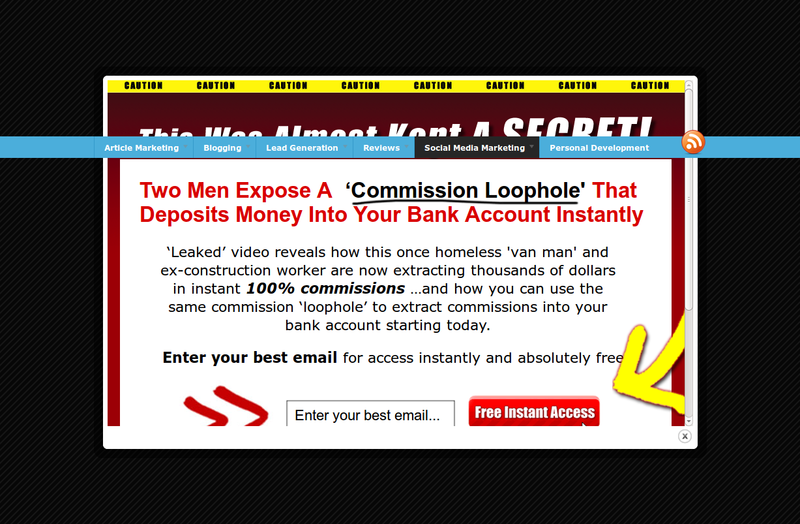 For one, the subject "Make Money Online" (I'm calling it MMO) is a dead-giveaway for me that this site's content is going to be second rate. I have seen a lot of MMO websites and they all share the same characteristic--poor layout, too many distractions, takes too long to load, and they use too many keywords that it doesn't make any sense when you read them. I think the reason I stereotyped this site automatically is because of the keywords that the blog author was using. "Make Money Online" is a popular search keyword. They were probably after the traffic, hence failing to distinguish themselves from everyone else. By resorting to poor SEO copywriting, the site gave up the potential for returning traffic just to get good page rank, don't you agree? How will I do things differently? I gave up looking around after that second pop-up. The landing page was a turn-off. Moving forward from there, I get another pop-up. I came to the conclusion that this is going to go on every time I clicked on a link. If you feel like your website looks like the one I have just described, please take the time and improve your website. Getting rid of that pop-up alone will drastically lower your site's bounce rate by 50%.